When we purchase food, beverages, medicines, clothes, automobiles, furniture and appliances, do we ever consider the journey they take before they reach us? Or the emissions dispersed into the atmosphere during the journey? The answer is probably no. We probably just purchase and use these items, not even giving a second thought to how they’ve reached their final destination (you). Are individuals aware of how much emissions are derived from shipping? As well as the impact emissions have on the environment and human health? Or is there the belief that emissions are not as harmful as we believe? Society’s needs have increased and with this, global trade has also increased, and the shipping industry is needed to facilitate the movement of numerous items around the globe. Transport by sea, is responsible for 90% of global trade, and is a critical part of the success of the global economy because without it, international bulk trade would be impossible. As freight costs become more competitive, and shipping becomes more efficient, the growth of the industry is projected to become stronger. All types of cargo are transported internationally by over 50,000 merchant ships (International Chamber of Shipping, 2017). The quality of the atmosphere is heavily impacted by hazardous emissions from ships. In China, shipping emissions have been an area of serious concern as pollution is on the rise due to the development of the shipbuilding industry and the growth of China’s economy (Zhang et al, 2017). A few years ago, the shipping industry in China began to develop rapidly, with Shanghai predicted to become the international shipping centre by 2020 (State Council of China, 2008). This prompted me to take a look at China and investigate what action(s) they have taken to mitigate the increased shipping emissions. On an annual basis, China’s ports encounter 30% of global shipping containers and more than 60% of the world’s seaborne cargo, resulting in a major problem of air pollution which Beijing is working on correcting. Seven of the top 10 global ports are located in China, resulting in shipping becoming a major contributor to air pollution in Shanghai, Hong Kong and Shenzhen. In 2013, China reported approximately 18,000 premature deaths due to air pollution from ships. In 2016, as a proactive strategy the government of China began to implement regulations requiring ships berthed near major ports in China to use fuels containing 0.5% sulphur. This fuel is comprised of 80% less sulphur than regular marine fuels, resulting in a reduction in air pollution and public health risks (Climate Home, 2018). 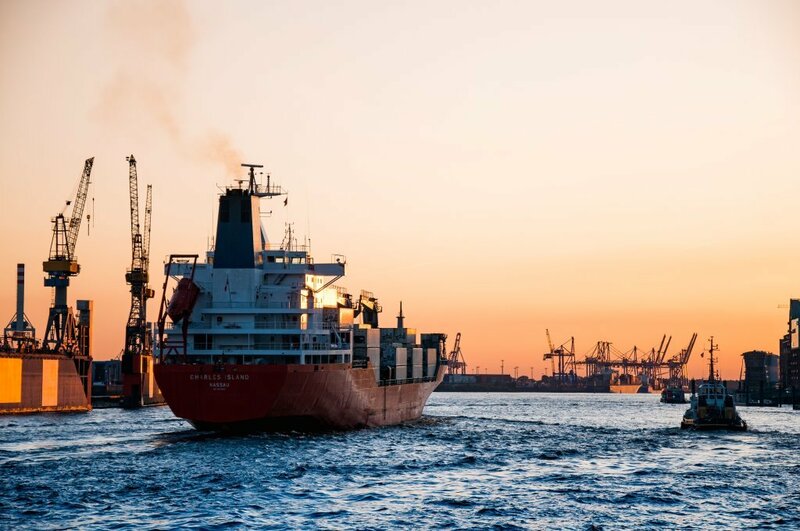 China is focused on reducing shipping pollution and has implemented Domestic Emission Control Area (DECA) regulations in all of their major ports. This process can only be successful once regulations are enforced and China has become serious about their enforcement process. Between April and November of 2016, 1,858 ships were inspected by Shanghai’s enforcement agency and 55 ships were caught violating the rules. They were issued penalties of more than US$100,000 (690,000 yuan); however, this process is extremely difficult to monitor and enforce (Climate Home, 2018). The International Maritime Organisation (IMO) in its global policing role has implemented an approach to reduce greenhouse gas emissions (GHG) from international shipping; this includes regulatory work supported by capacity-building initiatives. According to the IMO’s website, “Firstly, IMO has adopted regulations to address the emission of air pollutants from ships and has adopted mandatory energy-efficiency measures to reduce emissions of greenhouse gases from international shipping, under Annex VI of IMO’s pollution prevention treaty (MARPOL). And secondly, IMO is engaging in global capacity-building projects to support the implementation of those regulations and encourage innovation and technology transfer. In April 2018, IMO adopted an Initial IMO Strategy on reduction of GHG emissions from ships” (International Maritime Organisation, 2018). So, as global trade increases, is enough attention being placed on strategies to mitigate shipping emissions? Are the health and environmental impacts of emissions being taken seriously? Are countries, non-governmental or governmental organisations doing enough to effectively manage this problem? Climate Home (2008). China’s plan to cut shipping emissions, dated 20/04/2017 by Fung Freda and Zhu Zhixi. Climate Home New. Shipping (2017). Shipping and World Trade. International Maritime Organisation (2018). Low carbon shipping and air pollution control.